Imagine a city with safer streets for drivers, pedestrians, and cyclists. A city with zero traffic fatalities or serious injuries. The City of Sacramento wants to make sure its streets are safer for all modes of transportation and has set an ambitious goal to ensure it gets there. In January 2017, Sacramento City Council adopted the Vision Zero Goal: zero traffic fatalities and serious injuries by 2027. The Vision Zero effort is a traffic safety philosophy that rejects the notion that traffic crashes are simply “accidents,” but instead preventable incidents that can and must be systematically addressed. To reach this goal, the City is developing a Vision Zero Action Plan aimed at eliminating traffic deaths and severe injuries in Sacramento. The Plan will identify the factors contributing to traffic deaths and severe injuries, as well as proven safety countermeasures to those factors which integrate education, traffic engineering, enforcement, and evaluation. How Safe are Sacramento’s Streets? Every three days, someone is killed or seriously injured on Sacramento’s streets. Between 2009 and 2015, 151 people lost their lives on the streets of Sacramento; nearly half were killed while biking or walking. Victims were residents from all corners of Sacramento, from every demographic and every geographic location. Sacramento’s rate of fatal and serious injury crashes continues to rise; the 2008 Sacramento County Health Status Profile Report cites vehicle crashes as the leading cause of death for children aged 1 to 18. These deaths result in tragic personal loss for family and friends, significantly impacting the Sacramento community. Serious injuries from traffic crashes can be almost as devastating as a fatality. Serious or severe injuries resulting from a traffic crash can catastrophically impact lives in a number of ways, including permanent disability, lost productivity and wages, and ongoing health care costs. People walking in Sacramento are disproportionately impacted by unsafe conditions on the streets. 40% of all fatal crashes in the City involve a pedestrian. Traffic crash victims who are injured while walking are 10 times more likely to be killed or seriously injured in Sacramento than crash victims who drive. The City of Sacramento is willing to move beyond traditional transportation safety practices with bold interventions, taking an ambitious step in adopting its Vision Zero goal in order to solve one of its largest preventable health crises and eliminate traffic fatalities and serious injuries. With this pledge, the City recognizes its commitment to promoting a healthy and safe environment, including through responsible stewardship of the transportation network. The adoption of Vision Zero makes this a primary focus for the City, prioritizing safe travel for all modes of transportation. 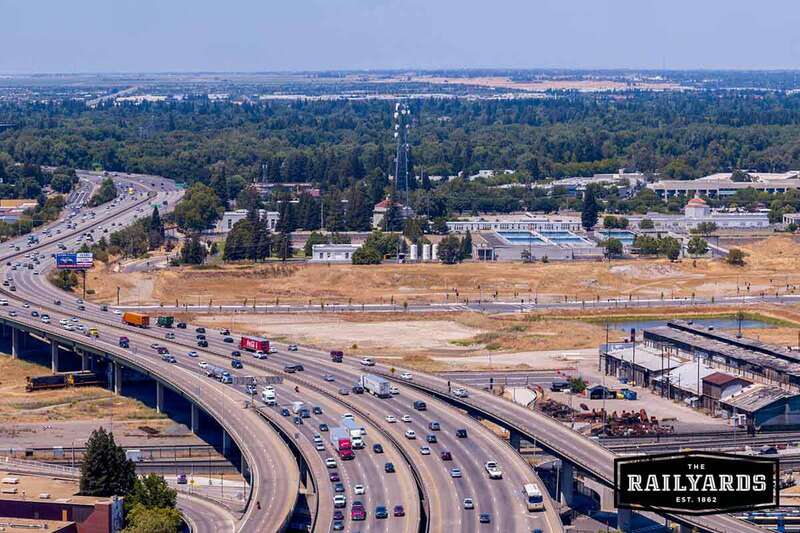 What’s Ahead for the Future of Transportation in Sacramento? Discover the future of transportation in the Sacramento region, and how the City is planning for a green and sustainable future. Can Vision Zero Be Successful? Sacramento is joining a global movement with a strong national network in place to help cities share best practices to improve roadway safety. Since 2014 Vision Zero has been building momentum in the United States, starting in New York and spreading across American cities, adopted in places like Chicago, Seattle, San Francisco and Los Angeles. As of March 2017, 27 U.S. cities have committed to Vision Zero, according to the national Vision Zero Network. Since its inception of Vision Zero, Sweden has one of the lowest annual rates of road deaths in the world - 3 out of 100,000 as compared to 12.3 in the United States. Not only that, but fatalities involving pedestrians have fallen almost 50% in the last five years. In New York City, 2016 had the fewest traffic fatalities on record. Traffic deaths are down 30% since 2013, just before the City launched Vision Zero. The first three years of Vision Zero is the safest three-year period in New York City’s history. Closer to home, Fremont, California has seen a 25% reduction in major traffic crashes in the first two years since adopting Vision Zero. How Does Vision Zero Work? Vision Zero is a data-driven process, not a one-plan-fits-all recipe for success. The City analyzed all crashes that occurred on City streets resulting in a fatality or any level of injury for the years 2009 through 2015 and then developed an action plan based on that data. Unsafe speed is the leading cause of crashes. A major component of Vision Zero is the recognition that speed kills. 2/3 of fatal crashes occur on streets with a posted speed of 40+ mph. Research compiled by the U.S. Department of Transportation National Highway Traffic Safety Administration shows that the likelihood of fatality is 5% for a pedestrian struck by a vehicle traveling at 20 miles per hour, but the likelihood increases to 40% at 30 miles per hour and to 100% at 50 miles per hour. How do you reduce the instances of traffic fatalities caused by unsafe speed? By just designing streets differently, the City can lower the speeds at which vehicles travel to help reduce the severity of injuries. Street design changes, combined with public education and targeted enforcement efforts, have the potential to greatly reduce the number of people seriously injured or killed on Sacramento’s streets. In one-quarter of Sacramento’s severe crashes, someone involved had been drinking. In order to combat this major public safety issue, a combination of education and enforcement will be necessary. Alcohol is involved in 25% of all traffic fatalities or severe injuries on the road. For pedestrians, the risk of death or serious injury is even higher: 31% of pedestrian crashes involved a driver under the influence. Reducing drunk driving makes streets safer for pedestrians, cyclists, and other drivers. National reports on this topic, such as those published by the Centers for Disease Control and Prevention, point to the effectiveness of mass media campaigns, sobriety checkpoints and stricter drunk driving laws. A public education campaign will formally launch early summer 2018 and will target all City of Sacramento residents with an emphasis on reaching vulnerable and underserved populations. Pedestrians and cyclists face greater risks when traveling through commercial areas. Commercial crashes, defined as occurring within 500 feet of a retail or recreation-focused commercial land use, account for 47% of bicycle and 62% of pedestrian deaths or severe injuries. The City recognizes that multiple counter-measures will be needed to ensure cyclist and pedestrian safety within commercial areas. Counter-measures that would be effective on smaller streets with neighborhood-serving retail may not be appropriate for larger commercial shopping centers on wide arterial streets. The City will use data to prioritize the location of these commercial areas to create specific countermeasures that will work for the individual areas. Just like with reducing drunk driving, encouraging safer driving habits in commercial areas will require targeted education and enforcement campaigns. By adopting a Vision Zero goal, the Capital City can take actionable steps to make its streets safer for all pedestrians, cyclists, and drivers. Image courtesy of Rick Galer.